Livonia, Avon & Lakeville No. 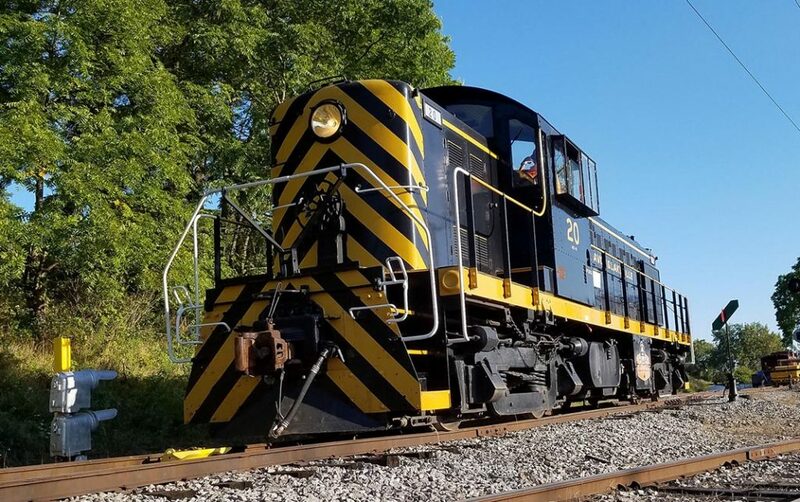 20 was the first Alco diesel acquired by the local shortline railroad in 1972, originally built in 1949 for the Lake Erie, Franklin & Clarion in western Pennsylvania. 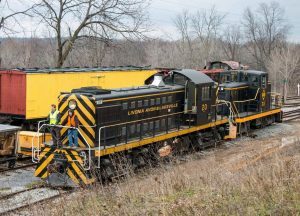 The LA&L management liked the basic black paint scheme and adopted it as their own, a tradition that has been applied to every Alco acquired since then. The Rochester & Genesee Valley Railroad museum is excited to accept the donation of this historic diesel. In its later days, the Lake Erie, Franklin & Clarion was a fifteen mile shortline that connected Clarion with a Conrail connection in Summerville, Pa. They ordered two Alco RS-1s in 1949, No. 20 and No. 21. By the 1970s, the LEF&C had upgraded their fleet with EMD switchers, making Alco RS-1 No. 20 surplus. 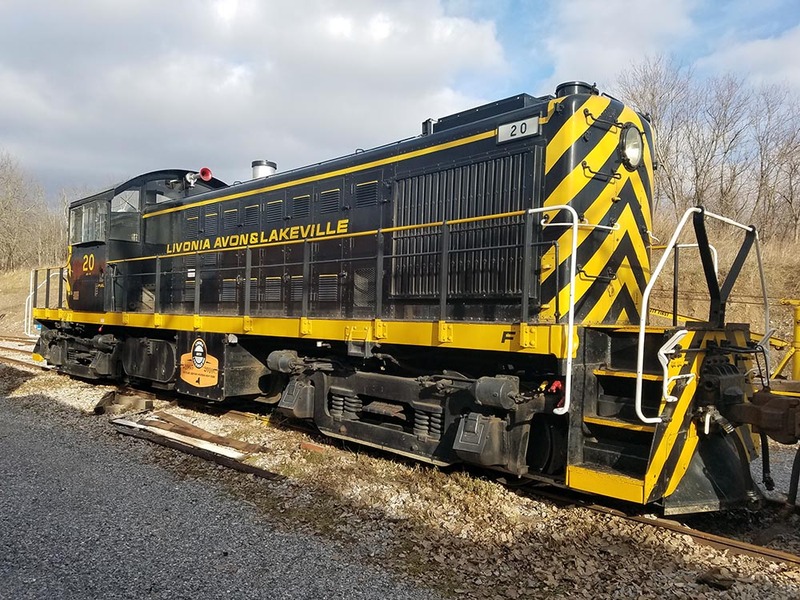 The Livonia, Avon & Lakeville began service on eight miles of former Erie Lackawanna track in 1965 with a steam engine and a 44-ton diesel to handle all trains. As freight traffic grew, the LA&L was looking for something to replace the switcher and spare the steam engine for passenger duty. No. 20 was acquired from the LEF&C in 1972, and became the LA&L’s first Alco diesel. The Alco RS-1 was in production from 1941 through 1960, and pioneered the road-switcher design that would become the standard in the postwar era. The RS-1 produces 1,000 hp generated by its 539 prime mover. After serving faithfully for many years, No. 20 was relegated to work trains and occasional yard duty in Lakeville by the 1990s. In need of minor repairs, the engine was drained and stored in 2008. In November 2016, the LA&L donated and delivered No. 20 to the R&GV at Industry. It is our goal to restore and operate this significantly historic diesel on our museum grounds for years to come. We enjoy a strong relationship with the LA&L, and we would like to thank everyone who made this donation possible. We need your help! We are currently working to raise $5,000 to purchase a new set of batteries to return LA&L 20 to operation. A donation in any amount will help! Donations to the Rochester & Genesee Valley Railroad Museum are tax deductible to the extent allowable by law.